Special gammagarn gold powder coated version of the Pra Khun Phaen Marum madtum with 3 Sacred Takrut spells inserted into the base of the amulet, made from special concentrated Maha Sanaeh Powders. 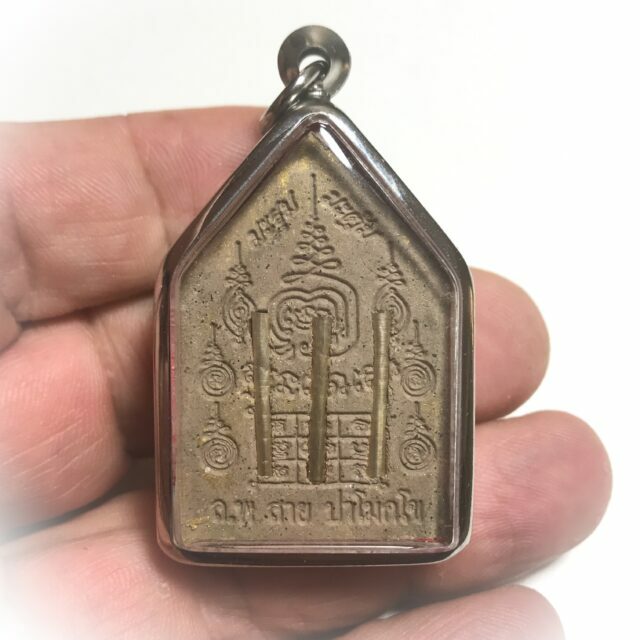 LP Say is a Master of the one of the Founding Lineages of Khmer Adept Magic, who learned many Decades ago in the times of three Great Khmer Ajarns who were extremely Powerful in Saiyawet Spellcasting and Metta empowerments. 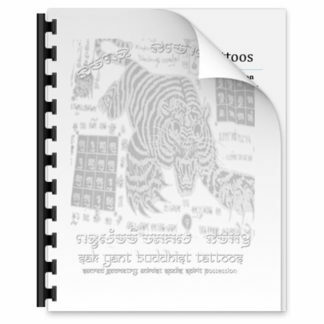 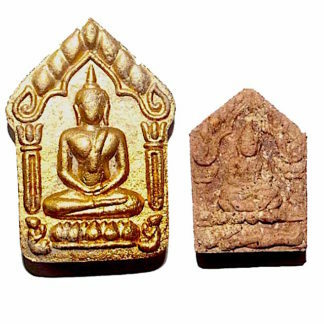 They were Endowed with Great Psychic Ability, and Advanced Practitioners of Kammathana Vipassana and the Pra Waet Vedic Magical Grimoires. 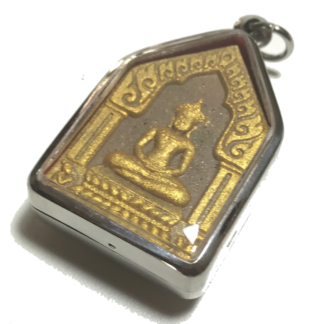 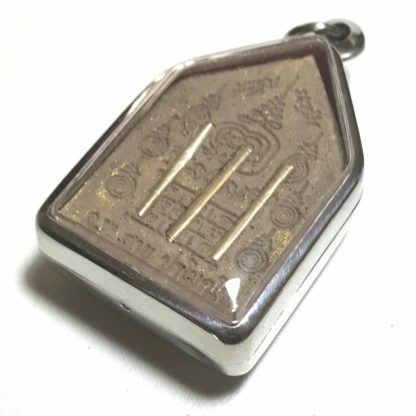 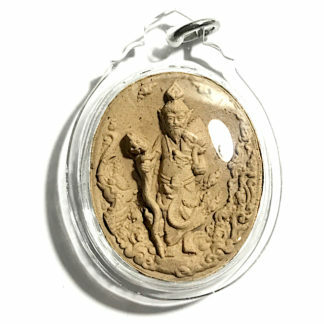 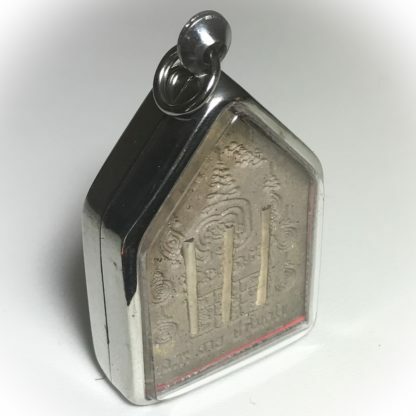 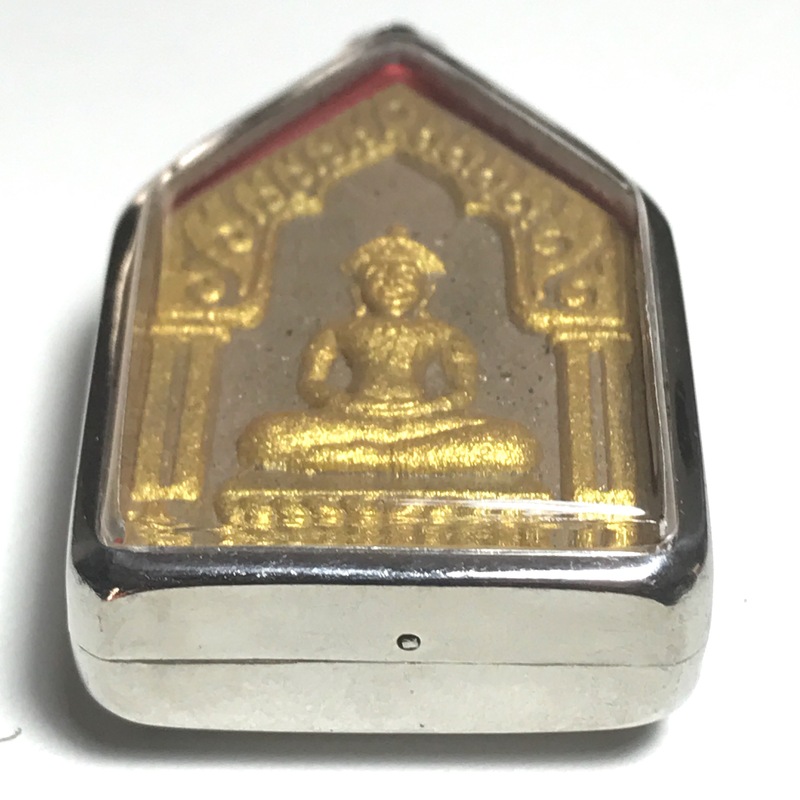 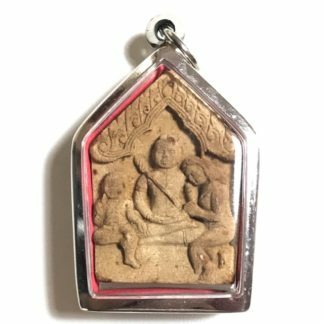 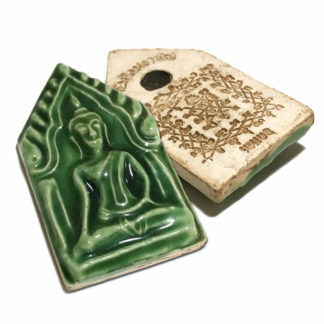 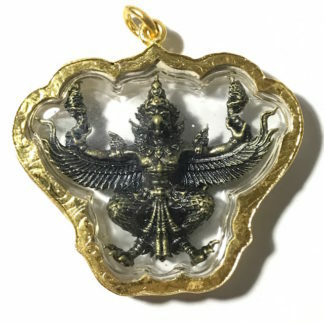 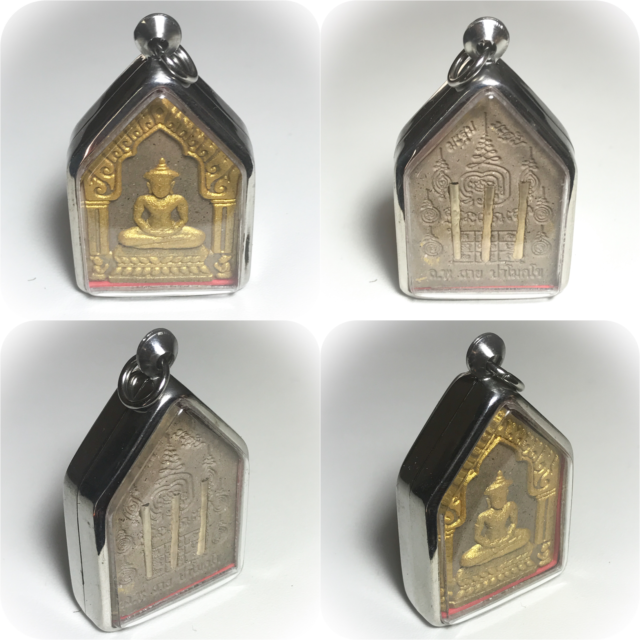 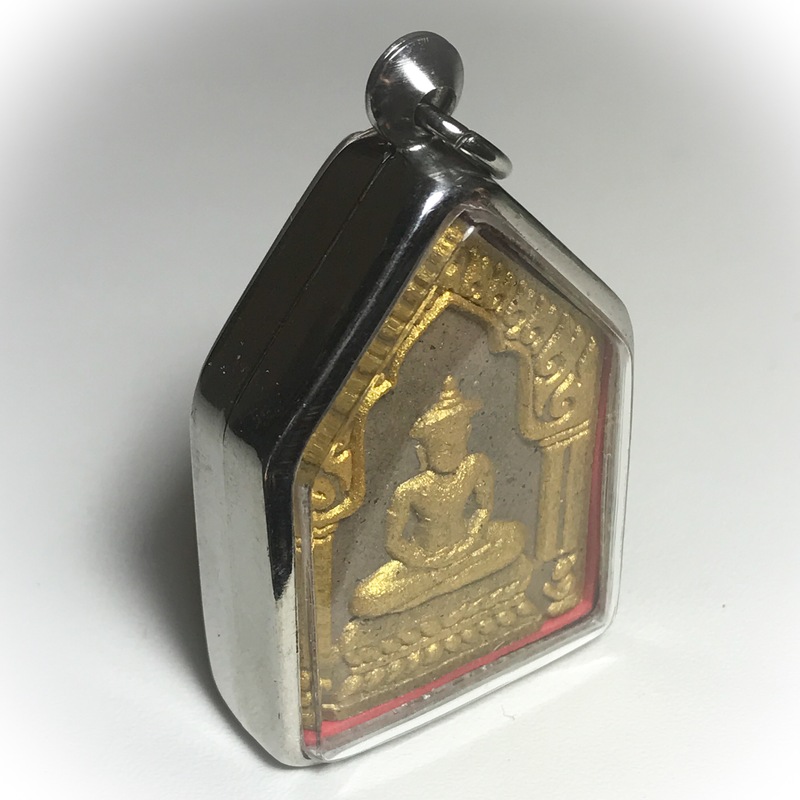 Luang Por Say’s Amulets are the Object of Faith of Many Devotees around the world for the Grand results reported by a large number of Devotees. 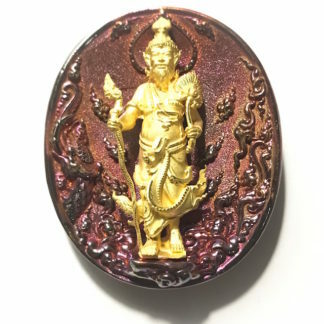 His Amulets are specially effective for Choke Lap, Siang Choke (Luck and Gambling, Lotteries), Metta Mahaniyom/Kaa Khaay (Increased Popularity, Promotion, Business expansion and sales), and Maha Sanaeh (Increase Passion and attraction, improve liekeability and ease of influence upon others – win the hearts of others). 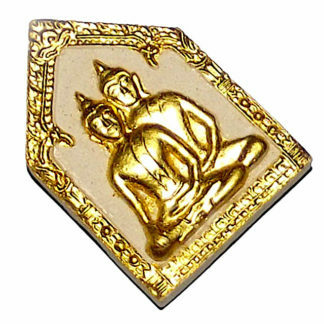 Luang Por Say is known for his long term Afilliation and Friendship with the Great Luang Por Chern of Wat Ta Ee (Passed away 2547 BE). Both of these Masters are Famous Internationally, along with their other close Colleague and Master Amulet maker, Luang Phu Rit (Wat Chonlapratan – Passed Away in 2548 BE consecutively). 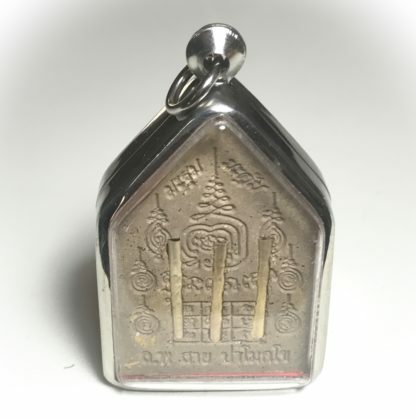 Only Luang Por Say of the Team of Three Masters remains with us to this Dat (September 2011) Luang Por Chern was perhaps most famous for his Pra Khun Phaen Marum Matum amulets, which become so much in demand, but unfortunately too few were made indeed to fulfill the needs of all the devotees who wished for one. 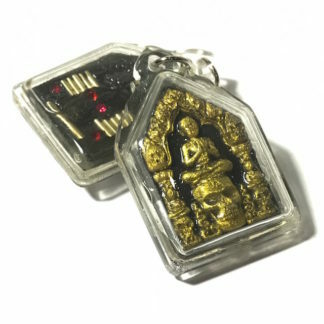 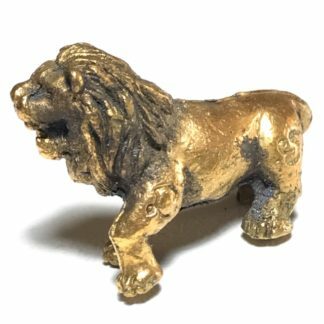 His amulets now go for prices reaching into the thousands of dollar range, and are so rare to find these days. 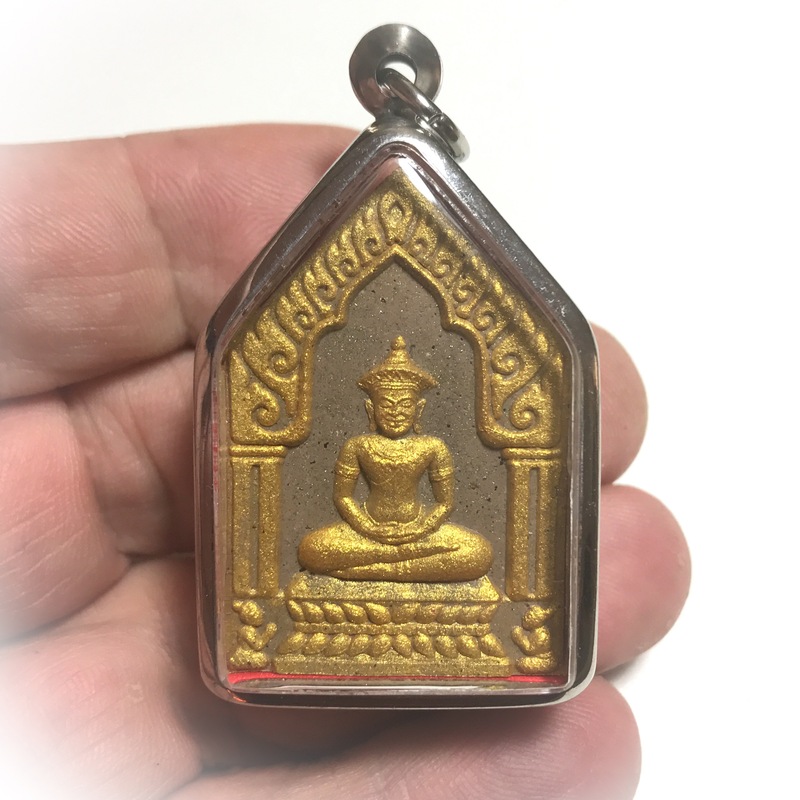 Luang Por Say began to distribute amulets in about 2540 BE after decades of practicing Kammathana Vipassana, and Magical Empowerment. 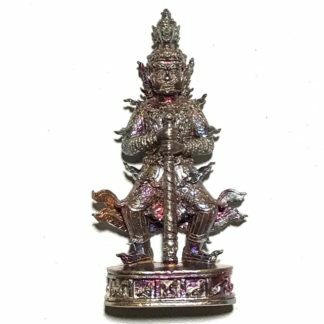 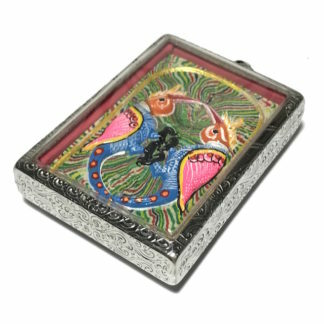 He made Sariga birds, Khun Phaen, Takrut, Mae Bper and many other kind of Amulets, and then decided to create another edition of Pra Khun Phaenb Marum Tum Amulets for Metta Mahaniyom and Maha Sanaeh. Pong Mai Gai Gug, Pong Ma Saep Nang, Pong Nang Ok Taek, Pong Paya Tae Krua, Pong Mai Wua Lerm Dork. 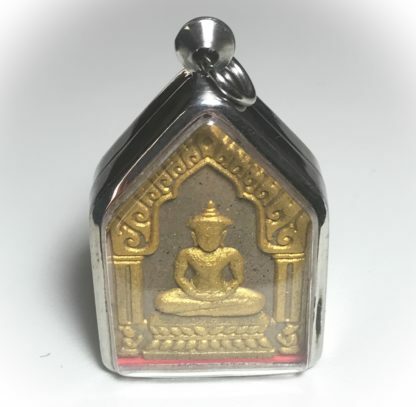 All of these amazingly rare and powerful magical herbs and powders were then mixed together and made into amulets, receiving the full empowerment of the Pra Khun Phaen Marum Tum according to the Dtamra of Luang Por Chern’s formula, and thus continuing the Dtamnan of Pra Khun Phaen Marum Dtum, made by the last surviving member of the Three Masters of this Wicha. 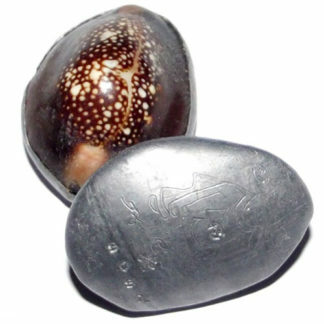 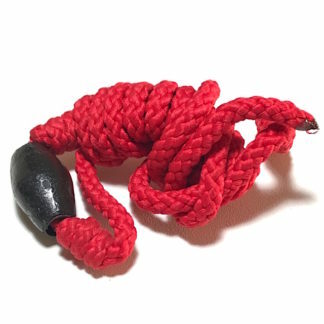 Useful for Businessmen, Lovers, Shopkeepers, Social Climbers, Gamblers and Salesmen.